Get in The Spirit! 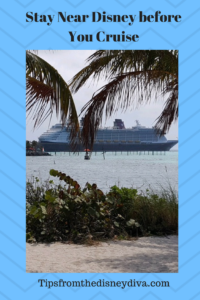 Stay Near Disney World Before You Take a Disney Cruise! So obviously my family loves Disney. For many years my husband and I kept putting off doing a Disney cruise. The number one issue was the cruise cost. The Disney cruise is more expensive than any other cruise line that I have seen or done in the past. 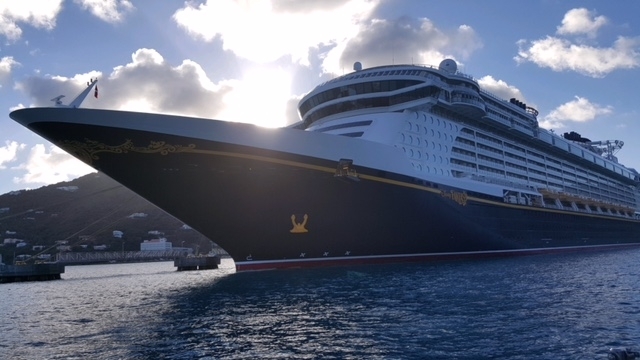 However, everyone I speak to tells me there’s nothing like a Disney cruise and obviously I believe them because Disney is Disney and to me, nothing compares to what they can provide. I decided to surprise my husband for his 40th birthday this past February with a three night Disney cruise! A three-night Disney cruise for my family of four is around $3000. If you really want to break that down, you are talking $1000 per person for three days. Granted, I look at it that my children are young and how is it costing that much money for them? It does not matter the age of the child but it just goes by the number of people in your party. I said you know what, it’s his 40th we have wanted to do a Disney cruise forever so I’m just going to do it. My husband was extremely surprised, and he said the same thing I did, that yes even though it’s $3000 for such a short time it’s a Disney cruise! I also decided to rent some vacation points from a friend and stay in Disney World a week after the cruise. However, being the Disney lover that we are I felt like staying closer to Disney World before the cruise was very important. Now at first, we thought it would make more sense to stay at a hotel closer to the port for the night before the cruise. Then the more we thought about it, we said you know what let’s try to stay on Disney property or near Disney the night before. From Disney World the cruise port of port Canaveral is about 60 minutes away. I figured my girls are young anyway why stay near the port the day before and not have much to do when we can stay in Disney World! Since we are part of a program with Holiday Inn, we decided to book that hotel which happens to be right near the Disney’s All-Star resorts. We would have chosen one of the All -Star Hotels but they had NO availability due to it being Easter Week. I figured this will work out perfect. 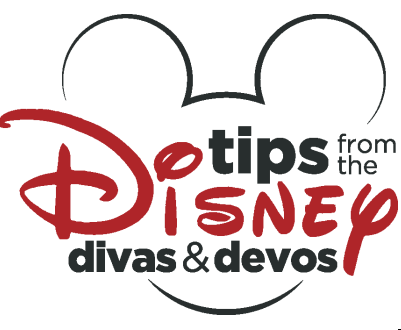 We can earn some points for a hotel room we need anyway by choosing a holiday inn and we can do something Disney related to get in the Disney spirit before the cruise! By stay near Disney World and spending time in Disney World for the Disney cruise really is a great idea. You have so many options and so many things to do. My family decided to stay at the holiday inn near by and dine at Kona Café for dinner that night. 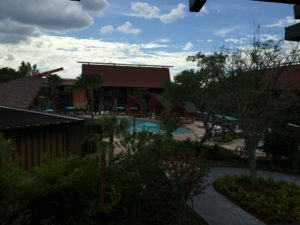 This worked out great for us because the hotel was only about 15 minutes away from the Polynesian and they gave us time to enjoy our favorite Disney resort! We were able to go outside and get a nice view of the castle Which helped us get in the Disney spirit! I am going to share my Disney Plan with you! Since we drive to Disney World from New Jersey when we go every year or more this helps us save money! We should arrive at our Holiday Inn near Disney World the day before the cruise probably around 4 o’clock in the afternoon. We chose Holiday Inn at Calypso Cay. This hotel is more of a resort located in Lake Buena Vista, right outside Disney World. The hotel was $120.00 and was full of amenities. They had several pools on property, along with all outdoor activities and miniature golf. This had many things too also keep my young children busy which were great options! Since we planned to go to Disney’s Polynesian, we would not be able to take full advantage, but that was totally fine! We decided that we will take a ride over to the Polynesian Resort and have dinner at Kona Café. Disney’s Polynesian Resort is our absolute favorite deluxe resort on Disney property. We have dined at Kona Café many times for breakfast but never dinner. The Kona Menu looks yummy! We figure this is a good chance to do so. We plan to have a nice dinner and then hang out at the Polynesian, this way we save room for dessert! We can either grab bread putting at Tambu Lounge or grab a dole whip located at Pineapple Lanai. This would be fun we can go sit on the beach getting nice view of Cinderella‘s Castle too! 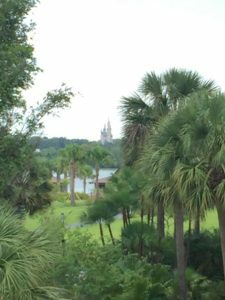 If you love Disney World and you have children and even if you do not I think it’s a great idea to stay near Disney World the day before a Disney Cruise. By doing this, it gives you many different options and really get you in the Disney spirit! 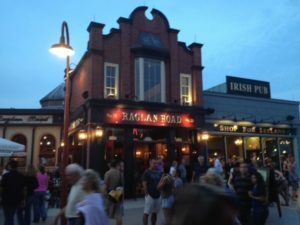 Even if you did not want to do dinner and hang at a hotel you have the option of also spending time and having some fun on the Disney Boardwalk. The Disney Boardwalk mimics Atlantic City NJ, my home state! This is fun because you can grab a bite to eat and drinks. They have a small section of a carnival-like area for kids. You can also head out to Disney Springs and have an awesome time there! Disney Springs is full of shops, restaurants and bars! There will be something for everyone if you want to venture out there! If you need help with booking your next trip All For Dreams Travel has you covered! Reach out for a FREE quote to make all your dreams come true. Mixology Class on the Disney Cruise Line- Is it for you?? I am known to be a Disney Mom and wife. I have two little girls, ages two and six and they too share the love. We are lucky enough to travel to Disney World once a year, maybe twice. Each time is a new experience. I love to see people learn and experience new things that may help make their visits extra special. I look forward to sharing tips and input and help answer any questions you may have through my writing!